We bring our clients and employees the better of two worlds. We are small enough to cultivate and encourage close, personal, long-term relationships, but large enough to offer the depth of experience and expertise required to earn your trust and help you meet your goals. Our goal is to provide our clients with the high-quality service they need to solve their problems. Our team of professionals works together to deliver each client a complete solution based on our full range of services including accounting and audit, tax, information systems and management consulting. Our full-service capabilities allow us to help clients with diverse business interests respond to the challenges of operating in a constantly changing business environment. LRC&M’s goal is to provide high quality professional services at a reasonable cost. We use state-of-the-art technology in our everyday work process. This technology enables us to achieve maximum efficiency and productivity for each project by allowing us to spend less time compiling and processing information and more time on analyzing and assisting our clients with process improvement. Our goal is for our services to complement and support your business, not slow it down. 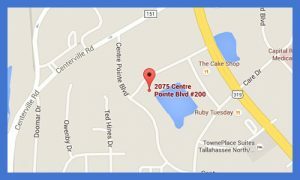 Although our clients are primarily located in North Florida, we provide services throughout the United States. Clients range from individuals and start-up organizations to entities with hundreds of millions in annual revenues.